(I won’t tell you the winner.) I’m watching the Project Runway finale on Friday night, while writing our blog. Perhaps I should e-mail Heidi and tell her that I’m multitasking while watching the show 24 hours after it was on TV. I actually don’t care who wins this season. I hope the producers call me so I can give my opinion about how to fix the show, so I can return to being a PR Superfan. Write a new post (old posts will be deleted). 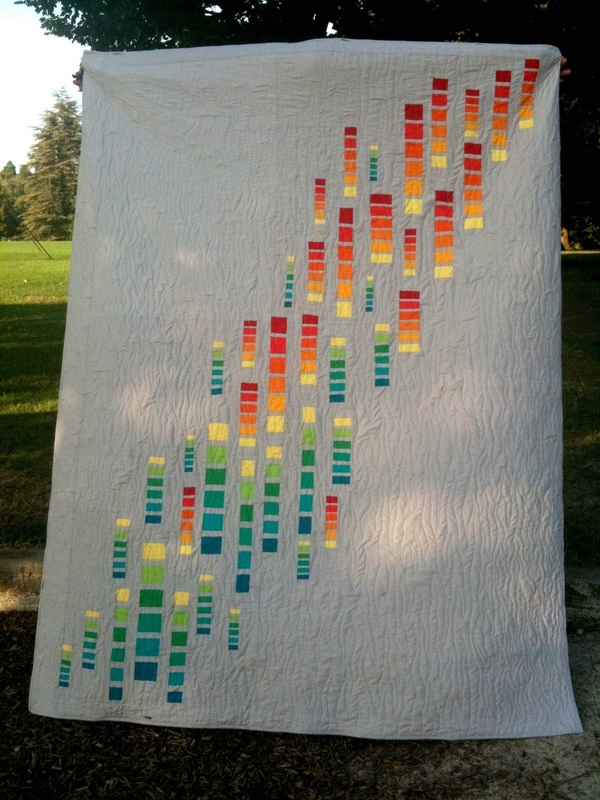 Share one quilt, and it’s story. 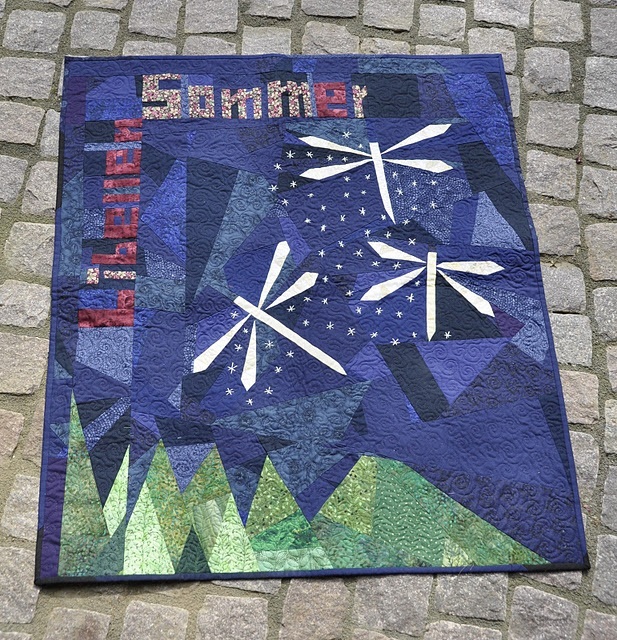 Why you made it, why it is special to you, what you learned about quilting/yourself while making it. 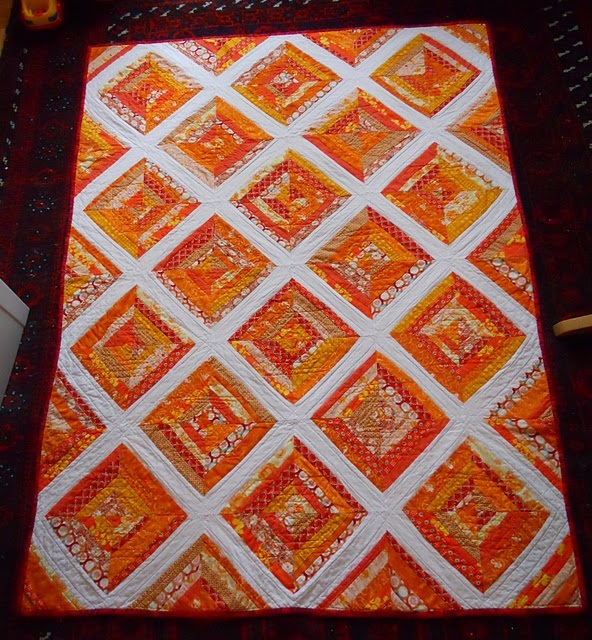 The quilt doesn’t have to be brand new, never seen before on your blog – show what you like! Also, please respect my efforts and the efforts of the event sponsors, and do not offer giveaways in your Quilt Festival post. 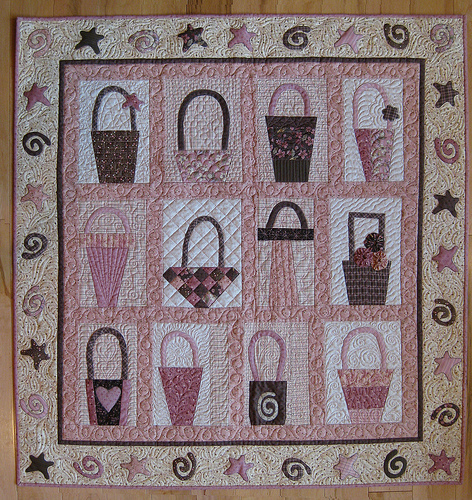 I love basket quilts, these are almost “purselike” which I enjoyed. This blogger is from Germany. (Baby quilt potential?) I HAVE to make a quilt with words! I love color, but I like prints. 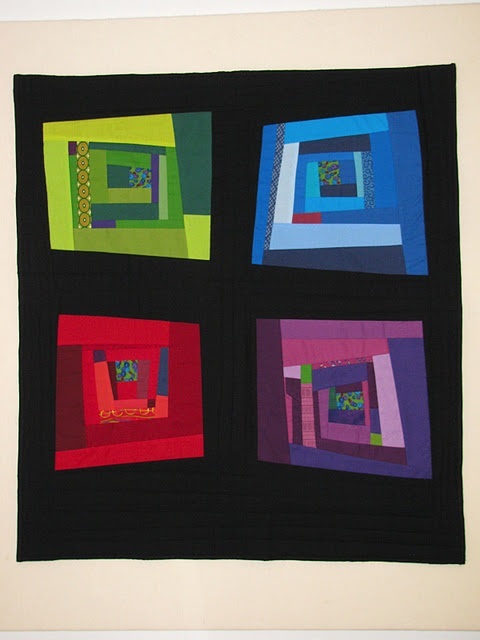 I am drawn to simple quilts like this, but for some reason like to make complicated pieces. Here is a combination of what I think you and I would like-modern and colorful. Here’s a link to the main page, I’m SURE you will want to see more!